THESE ARE REVIEWS FROM YELP! Party Bounce House team was awesome. They had messaged me couple days prior to the event to confirm and had called me the morning of before they dropped off the bounce house. We booked it from 12-8pm but they showed up a little later which was great cause the kids had more time to play. The staff was efficient and super friendly, we would recommend this company to anyone. We rented the bounce house (cars theme) for my sons 3rd birthday. $90 that was the most reasonable pricing out of all the other places I've checked. Will definitely rent again for future events. We rented out a couple of bounce houses & generators for our company picnic. We were very pleased! The crew is very friendly & organized! Arrived on time & had everything set up in no time as well as taking it down. Very happy; we will definitely use them again & absolutely recommend this place! Party Bounce House Rentals is awesome! I called to book a jump house on the same day of the event and they were able to accommodate my needs. They had the jump house delivered and set up within the hour. 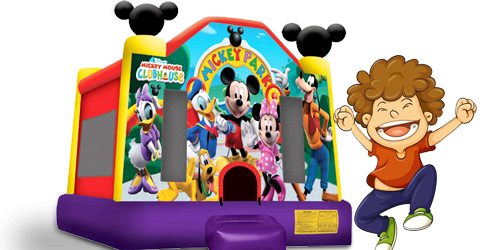 Party Bounce House Rentals has wonderful customer service and the best prices. I will be definitely using them again! Thank you! Very pleased with party bounce house! Called them last minute for a huge birthday bash and they were able to book us! Thank you so much! Life has been extremely busy for me...so busy that I have to structure and organize everything, from workouts, to meal planning, etc. So when the 4th of July weekend came around, I just KNEW I needed a break from everything! My amazing neighbors and I planned a block party and I immediately volunteered to bring a sno-cone machine. Cherry flavored fun for the kids....margarita flavored fun for the adults. It's a win-win situation! But remember how busy I was? So busy that had to scramble around the day before July 4th in search of my sno-cone machine. We have a popcorn machine available....No Thank You. We have a cotton candy machine here....No Thanks! I wanted my sno-cone and I want it now! After countless phone calls and rejections, I stumbled upon Party Bounce House Rentals. Abdul was very polite and informative. He had a delivery fee, but after finding out I live within a few miles of the place, he informed me that it would be waived if I was willing to pick it up myself. Hecksta Yeah! Included in the sno-cone machine rentals, he provided cups, two flavors and straws. Everything was so neat and organized AND he even said not to worry about bringing it back that night, as he assumed I'll be too busy enjoying my July 4th celebrations. Good assumption! Next day return without any additional fees?! Yes Please! I'll be using him for future rentals for block parties, Birthday parties, events...or just a regular ole Tuesday night. Prompt, professional and courteous bounce house rental company. Only $90 for a 4 hour rental for a basic bounce house. I would definitely recommend this company for a bounce house rental. They came early to set up. So we ended up having extra time. The set up was fast. The bounce was clean and in really good shape. I would definitely use them again. Best Bounce House Rental company around. Best prices and awesome people to deal with!!! This business is fantastic. Very, very pleased. Small business, locally owned, family run, small business proprietor. Abdul is great. Let me start by saying he accommodated us very last minute for a 4 year-old's birthday party within an hour. I had booked someone else for a Saturday birthday party nearly a month in advance (do NOT rent from 916-267-8166 - they are AWFUL). I confirmed several times all month with this other horrible business, and again one last time on Saturday morning about 2 hours on the day of the party before they are supposed to arrive. No one shows up. I call and text repeatedly until about 90 mins past their scheduled arrival and when I heard absolutely nothing, I called Abdul and asked him to help out last minute. I had a backyard full of disappointed kids and thank God for Abdul. He was great. He told me he had an available bounce house for a girl theme, and would be there within an hour. He was spot on, set it up, kids all watching and excited, and came later that evening to break it all down. It was a few bucks more than the original quote who flaked on us, but money WELL SPENT. I will definitely use Abdul again. Obviously, you get what you pay for, and Abdul was professional, casual, fast, responsive and valuable. All the things that Stan Hayes and his wife at 916-267-8166 were NOT!! We were 100% satisfied!!!!!!!! Great selection and pricing too! 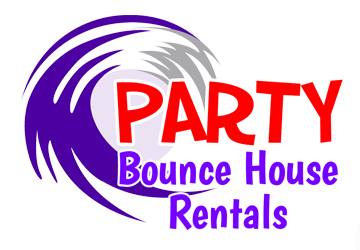 Very customer friendly their is no reason to go anywhere else to rent a bounce house this place is awesome trust me they don't disappoint we were happy our kids were happy awesome company!!!!!!!!!! Very reasonable price. Great Dolphin Splash. Kids enjoyed it. Business owners customer friendly. I will definitely rent from them again!! Very pleased with this company!! We had rented a bounce house during the weekend for our daughters first birthday, and party bounce house rentals made it so easy for us from start to finish. We called weeks prior to the party, and spoke with an Abdel, his customer service was just amazing. They gave us a courtsey call a couple days before the party and asked if we wanted the bounce house the night before at no extra cost!!! The crew came, set it up in just minutes. We had relatives from out of town the night before, and having the bounce house there for the kids the night before for free was just awesome. Kids were happy, we were happy! We will definately rent from them again!